We've all been there, stranded on a derelict spaceship, communications console damaged, and while dread and despair build something ghastly is taking out our fellow crew, one by one. No? Just me? Well, I'm sure you've at least seen a TV show or movie about that situation. Well now you can get that very same experience from the safety of your game table, with Alien Entity. 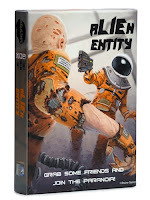 Alien Entity is a deduction and deception game for three to five players that only takes about 15-20 minutes to play. Over the course of multiple rounds, or encounters, players will take on the role of Humans or an Alien. The Humans are trying to kill the Alien or build the Satellite Uplink Array to call for help before the Alien can infect all the Humans with an alien virus. 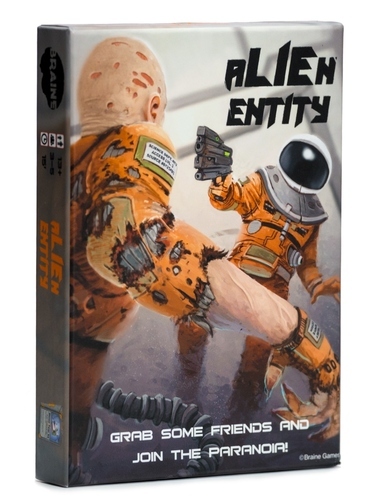 Continue reading on GJJ Games - http://gjjgames.blogspot.com/2017/02/gjjg-game-reviews-alien-entity-by.html.